As a producer, director and musical theater consultant, Larry Mitchell has directed over 80 productions of more than 60 different musicals in the past 40 years. He has directed musical theater productions at the junior and senior high school, university and semi-professional levels in the United States and England. In addition, he has conducted workshops at the following universities: Iowa State, Iowa, Wisconsin, Northern Iowa and James Madison. He has also given presentations on musical theater for The American Choral Directors' regional and state conventions and conducted a "Masterworks Sing" at the National Musical Educators National Conference Convention in Anaheim, California. 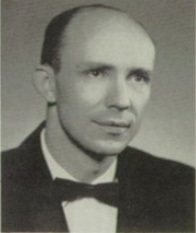 For three summers, he served as Director of Musical Theatre for the International Educational Institute in the professional Northcutt Theatre in Exeter, England. In 1968 he co-founded The Comedia Musica Players who have performed in England’s Northcutt Theatre, the Tabor Opera House in Leadville, Colorado, and the Belvidere Opera House in Central City. They have also toured extensively throughout Iowa, occasionally under the auspices of the Iowa Arts Council and the National Endowment of the Arts. 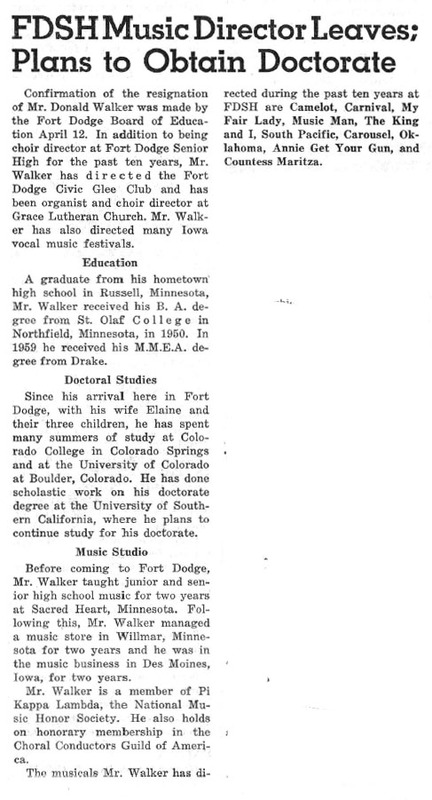 In 1997, Mr. Mitchell retired after 31 years as the choral director at Fort Dodge Senior High School of Fort Dodge, Iowa. At that time, the school had performed musical theater continuously since 1928. In 1990, his high school was the first non-professional organization in the United States to perform Stephen Sondheim's Into the Woods. His final musical, Victor Herbert's Naughty Marietta, was the school's seventieth annual musical theater production. 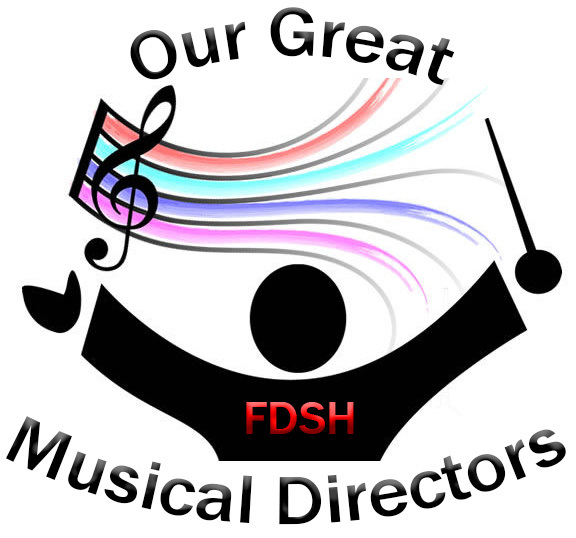 His choirs have been invited to perform for regional and state conventions and are known for their unique presentations, including staged and costumed performances of Menotti's The Unicorn, the Gorgon and the Manticore, and Hugo Distler's Totentanz.